Patios extend your living space and create inviting places for outdoor entertaining. 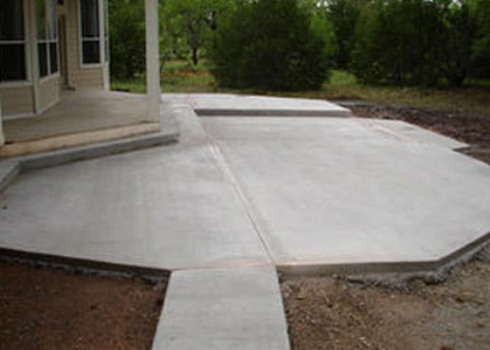 In addition to basic flat concrete finishes, we also offer stamped concrete in numerous designs and colors that turn your backyard into a retreat. We can add a stamped concrete design to new patios and as an acrylic overlay on your existing slab. As well as basic rectangular slabs we can custom form your patio to a unique shape that fits your design.